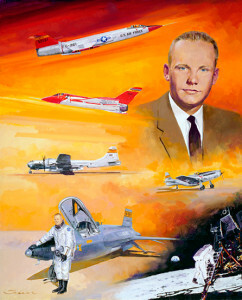 A portrait of Neil Armstrong painted by Robert Schaar in 2001 for the “Walk of Honor” series. 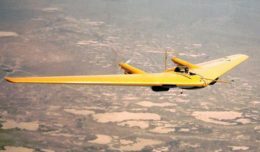 The Museum of Art and History in Lancaster, Calif., will exhibit art from the collection of NASA’s Armstrong Flight Research Center from Aug. 13 through Oct. 30. Part of the museum’s “Made in America” exhibition, “NASA Flight Research: Probing the Sky” commemorates Armstrong’s 70th anniversary with over 50 pieces of visual art chronicling the story of NASA’s pioneering flight research and groundbreaking space technology development. 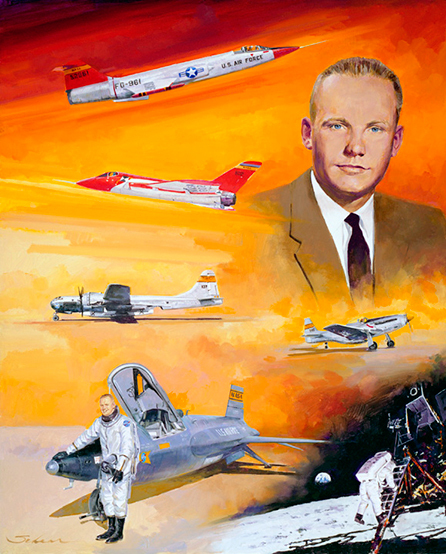 The first-ever public display of Robert Schaar’s entire “Walk of Honor” series of NACA and NASA test pilot portraits forms the exhibit’s centerpiece. The 17-painting series depicts test pilots featured in Lancaster’s Aerospace Walk of Honor, which is located alongside The Museum of Art and History. Famed flight research pilots such as Neil Armstrong, Scott Crossfield, John Manke and Donald Mallick are included in the collection. “Probing the Sky” also will include late aerospace artist Robert T. McCall’s “The Apollo Story” stone lithograph series and works by other prominent aerospace artists. Cam Martin, director of Armstrong’s fine arts program, said the exhibit would inspire a wide variety of audiences by showing NASA’s accomplishments through the eyes of artists. Martin will present a narrated tour of the exhibit’s NASA art at 2 p.m., Sept. 18. To learn more about the Museum of Art and History, visit: http://www.lancastermoah.org.